There are many kinds of chronic causes of stress that make staying healthy and happy challenging. Today we’re going to discuss the different forms of physical, mental and emotional stress that you may encounter, and how our holistic health clinic can help. If you’re struggling with stressors that are triggering a “flight or fight” response, there’s help out there. Chronic pain is extremely stressful. Even pain that’s relatively low on the pain scale can be hard to cope with when it continues over a long period of time. If you’re dealing with pain, we have a number of resources to help you reduce it and/or cope. Our integrative clinic has therapies for stress that your regular doctor doesn’t offer. Exhaustion is one of the causes of stress that impacts so many areas of life. 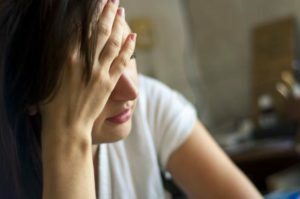 If you feel that you just have no energy, or that you may be dealing with chronic fatigue, we can help identify hormonal and nutritional issues which may be contributing to your fatigue. Has your zest for work or even life vanished? Sometimes, chronic stress or illness depletes your motivation until doing even the smallest tasks seems daunting. Often this is due to hormonal issues, but it could be triggered by an allergy or even a medication. Because we take a holistic approach to helping you become healthy, we will work with you to find and address physical or mental issues that stop you from enjoying your best self. If you suddenly start gaining or losing weight, something’s going on that needs to be addressed. We’ll check your hormones, counsel you on diet, and identify what’s going on and help you address it. Losing or gaining a lot of weight is hard on your body and health, so let’s address what’s going on. They call it the “change of life”, and pre-menopause or menopause can make for some pretty big changes that are major causes of stress. Your hormones are adjusting, and it can be very challenging. We can help. Depression can have physical or emotional components, and we have the resources to help with both. Did you know that genetic testing can sometimes identify contributing factors to depression? We offer medical support as well as counselling and psychotherapy to help you cope with depression and recover. When people think of the word “stress”, anxiety often comes to mind. Whether there are causes of stress in your life creating triggers for anxiety, or you are experiencing less clearly rooted challenges, we can help with calming supplements, lifestyle changes, counselling and medications if appropriate. Life in a big city such as Hong Kong is stressful. We have to deal with noise, air pollution, traffic, and a disconnection from nature that is a stressor in itself for many people. Without calming routines such as meditation and exercise, city life can take a toll on our feelings of wellbeing. Sometimes, extra support in the form of counselling or help with nutrition and detoxification can make a big difference. There are, of course, many other causes of stress. Emotional stress from job issues or relationships is common. Financial stress is often a result of one of the stressors above. You might have other forms of stress in your life. Many of these stressors have hormonal causes – or in themselves create changes in your body’s hormonal state. When you address stress in an integrative way, you can bring your body back into balance and often overcome the source of the stress, not just the symptoms. If you’re suffering from any of these causes of stress, please call us today to make an appointment. Don’t let stress continue to spoil your quality of life.